Mutle Mothibe is no stranger to the Word N Sound stage. In our first season last year he took home the 2nd place prize in our Open Mic challenge and will be back on our stage this Saturday along with soul duo LoveGlori and slam poet Dikson Slamajamjar. Qhakaza: If you were given a blank cheque to put on one of your one-man shows, what kind of show would you put on and where would you have the show? Mutle Mothibe: I’d work with the animators behind Bleach and Naruto and have them interpret my work in visual format. I’d also use holograms (LOVE this stuff and I trip on ideas that pop up about them as props). I’d bring in magicians; I’ve studied and collaborate with them one or two of my pieces my pieces. Have a full on orchestra for another piece and a ballerina also interpret one of my pieces. There is a lot more he would do with that bank cheque, read all about it HERE…and someone please start working on the cheque because I would really love to see a show like this. I first heard LoveGlori at one of my most memorable roof top parties of 2011. Main Street Life’s rooftop was abuzz with art enthusiast, colour, good music and just a generally good vibe. 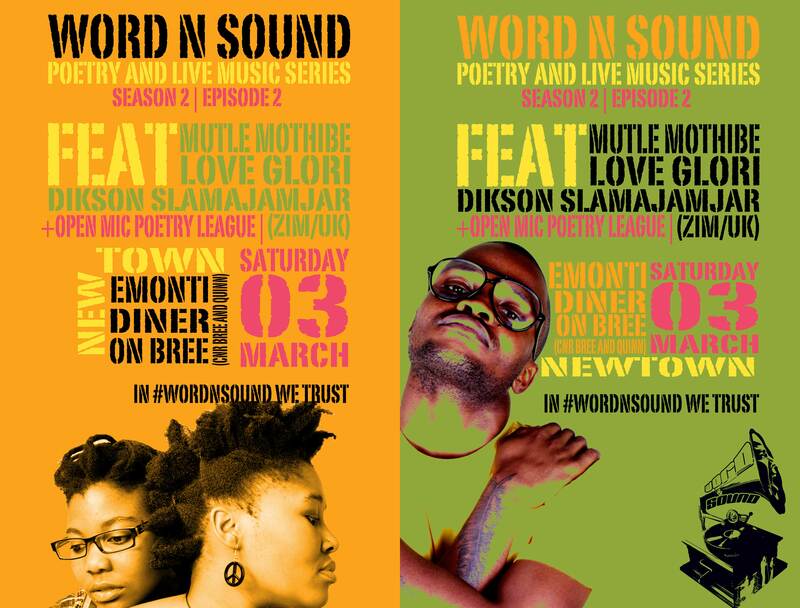 As always, we caught up with them (in cyberspace) to give you a glimpse of what you can expect for this female soul duo at this Saturday’s episode of Word N Sound featuring Mutle Mothibe, LoveGlori and Dikson Slamajamjar. The second episode of Season 2 is on the cards and as usual a great line up is guaranteed. 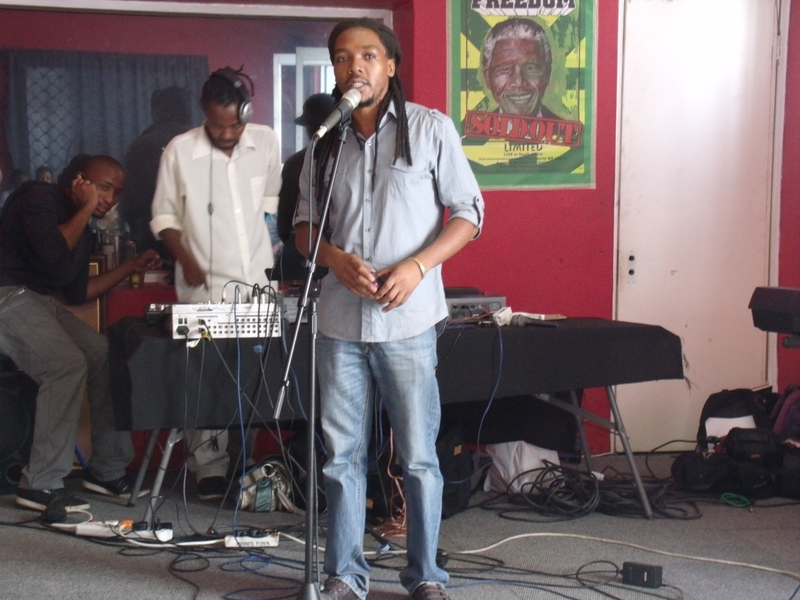 Mutle Mothibe is a Word N Sound 2011 Top 10 finalist whose imprint on the South African poetry scene cannot be missed. His mixture of sensuality, surrealism and mythology has left a soothing vibration in the ears of many spoken word enthusiasts. He has also become famous for his one-man productions which fuse music, choreography, poetry and hint of Marshall arts. His showcase at Word N Sound promises to be a memorable one. Dikson was born in Zimbabwe and moved to the UK in 2000, he got into slam poetry in Brighton whilst at university. Dikson has been on a European tour performing in the UK and at the World Wide Words and My World Images festivals in Denmark. 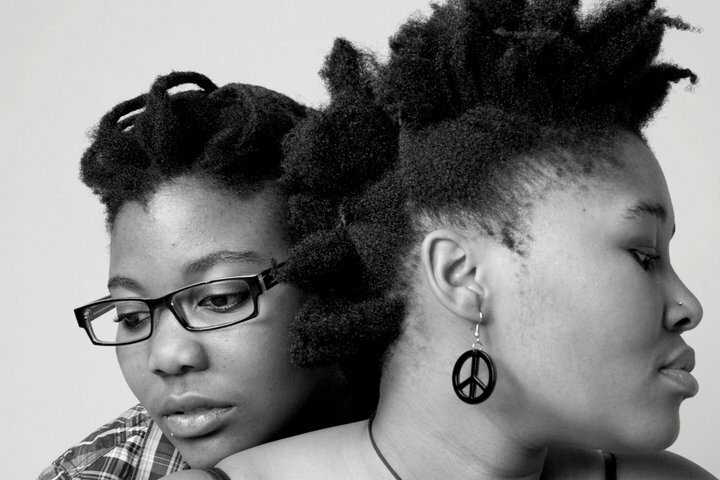 Love Glori is female soul duo from urban Johannesburg. The name LOVEGLORI is simply a combination and translation of their names, LERATO: a Tswana name meaning LOVE, and NOZUKO: a Xhosa name meaning GLORY. Together, these remarkable young women possess a mutual and spiritual love for music. The root of their passion for music and life is their love for God, their families and fellow beings. They draw inspiration from their individual experiences and the people and environment around them. This is then transformed into a fusion of soul, jazz and an element yet to be named. So we’ve opened up this review platform to anyone who attends the show. All we need is your honest feedback after each episode. It would be good to hear what you thought of the show and will help us improve and polish up our act. A strong industry can only grow with an honest audience. Check out what Tokiso Molefe and Nomsa Motale thought of our first Word N Sound XTRA featuring David Chislett. Click HERE for those reviews and feel free to add your own below. David Chislett will be joining us this Saturday, Feb 18, for our first WORD N SOUND XTRA and will be hosting the Business of Art workshop at Emonti on Bree. We caught up with him for a brief interview and a look at what to expect at Word N Sound Xtra feat David Chislett (Arts Business Workshop). What can the Word N Sound fam expect from you this Saturday? On Saturday, anyone who attends word n Sound can expect an hour of information about how the business behind art works and the headspace you need to be able to grow your art into a career and a living. It will be out there, somewhat crazy and very interactive. You may hear some things that shock you, and others that will annoy you, but I promise that you will not leave that session thinking the same way you did about your art beforehand! Click HERE for the rest of the standings. Join us for our first Word N Sound Xtra with an arts workshop, creative arts market and a non-competitive open mic. Word N Sound Xtra is a Poetry development platform aimed at improving skills, knowledge and capacity within the written and performance poetry.. This is a non-competitive platform that provides young writers and performers with the necessary industry and technical knowledge while helping them build stage confidence and performance experience. 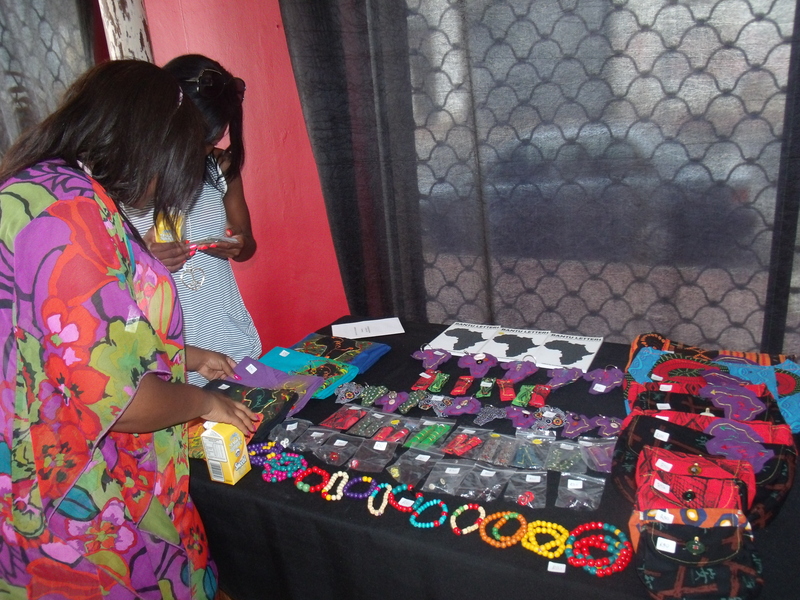 – A creative market for entrepreneurs to display and sell their produce. From T-shirts, Books, Bags, accessories,etc. If you are interested in securing a stand at the Creative Market, please inbox Afurakan T Mohare or Qhakaza Mbali Mthembu on Facebook. – The first workshop will be hosted by David Chislett and will provide artist with a general scope of the industry and how arts make business. David Chislett is a multi-talented speaker and writer. He is an experienced voice artist and MC with a strong background in poetry, theatre and live radio work, as well as live events and radio ads. A published author, David is also a poet and public speaker who works with creative activations, motivation and inspiration. He has lectured at AFDA and WITS on creative writing and its processes and performed at numerous spoken word evenings around South Africa. – A perfect opportunity for poets to test their material and gain honest feedback from a credible audience. This is a non competitive Open Mic and each performer will be allowed to perform a maximum of 2 poems/10min. Hey Word N Sound Fam. 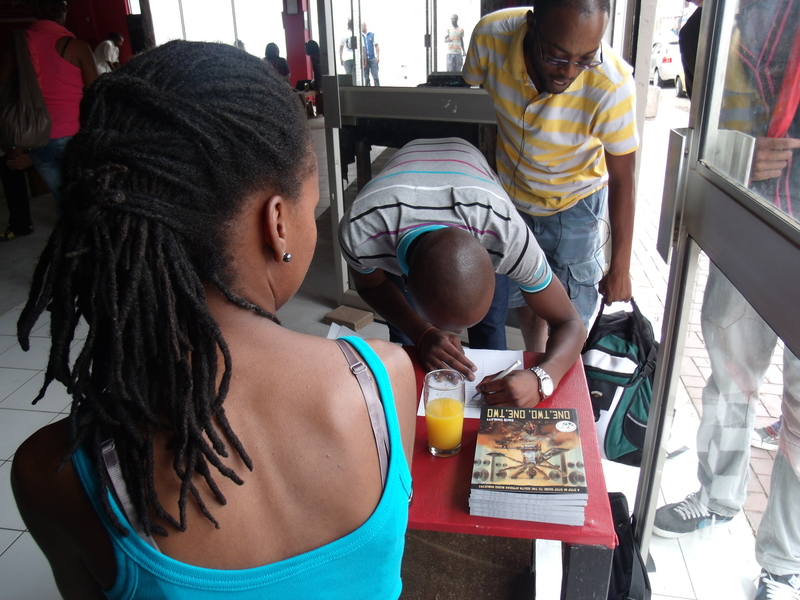 Thank you to all those who came through and showed love, it was an awesome way to kick off the second season. We are still facing challenges with time, seating and technical difficulties and for these we apologise, we’ll definitely be working hard on perfecting this. We’d like to hear what you thought of the show, the new venue, the showcase artist, Masai walking off stage, the level of talent that come on the 2012 open mic poetry league, Nova winning Queen of the Mic and anything else you would like to let us know. NEXT SHOW: 18 Feb 2012, 12pm, R20 Workshop + Creative Arts Market + Open Mic. Contact Qhakaza Mbali Mthembu on facebook if you have any merchandise and would like to rent a stall. Last year saw Masai Dabula take the much coveted title of Word N Sound King of the Mic, much to the delight of the many poetry enthusiasts who had eagerly followed the competition month after month. It was a tough call and a tight competition and that’s exactly what we like to see. From his first appearance in the competition, Masai won the hearts of many with an intense and bold performance style. It seemed so obvious that he would be taking the title in the end.